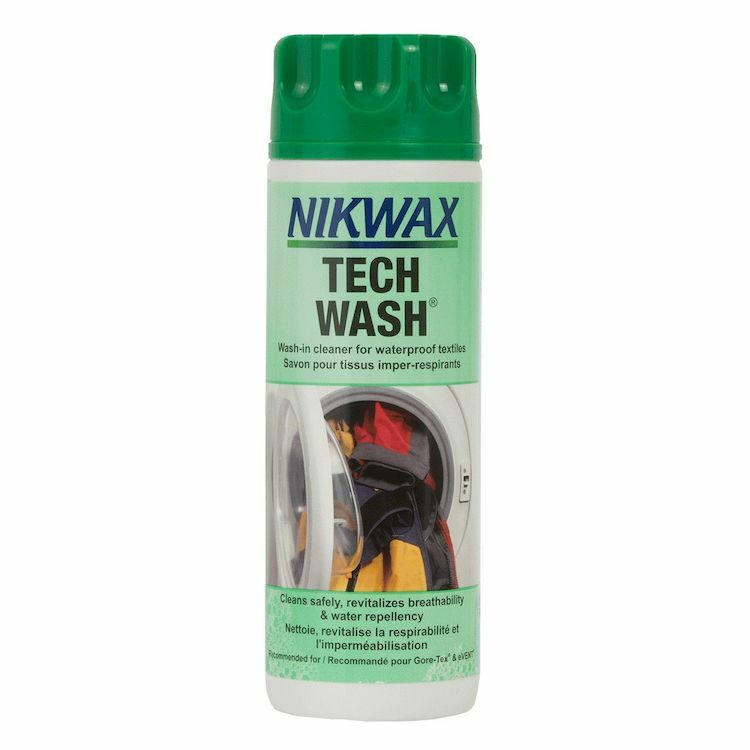 NikWax Tech Wash is an easy to use, safe, high performance cleaner for wet weather clothing and equipment. It cleans effectively, reviving breathability and water repellency. Regular cleaning will enhance the performance of your gear. With regular cleaning, you should be able to clean your gear 5-6 times with Nikwax Tech Wash before it requires re-waterproofing. When Nikwax Tech Wash alone does not revitalize the Durable Water Repellency (DWR) of your gear (e.g. water does not bead on the fabric surface) it’s time to re-waterproof using the appropriate NikWax waterproofer.